The appearance of an entrance area to a home always been accorded great significance. After all front doors are expressions of personal tastes. At the front door, visitors are already put into the picture of the individuality, style and taste of their host. Simply send us a sketch or image and describe your envisage; Get creative with wood types, vision panels, colors and shapes. Design your dream front door. 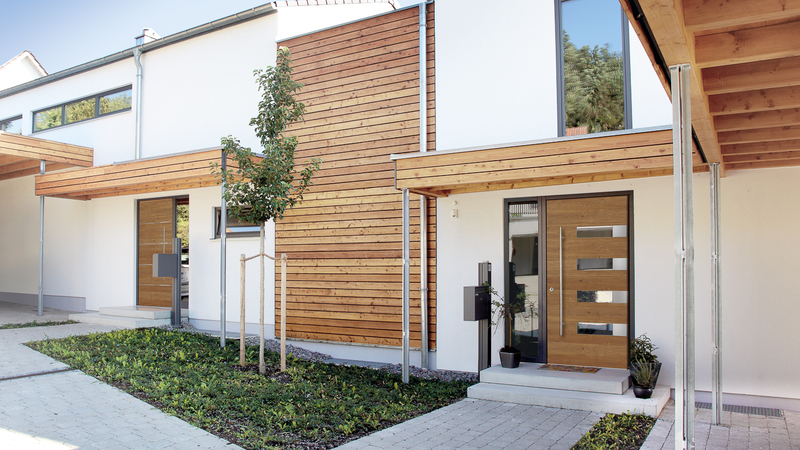 Look forward to a perfect wood front door with distinctive design. Various types of wood are available like pine, spruce, meranti, larch and oak. 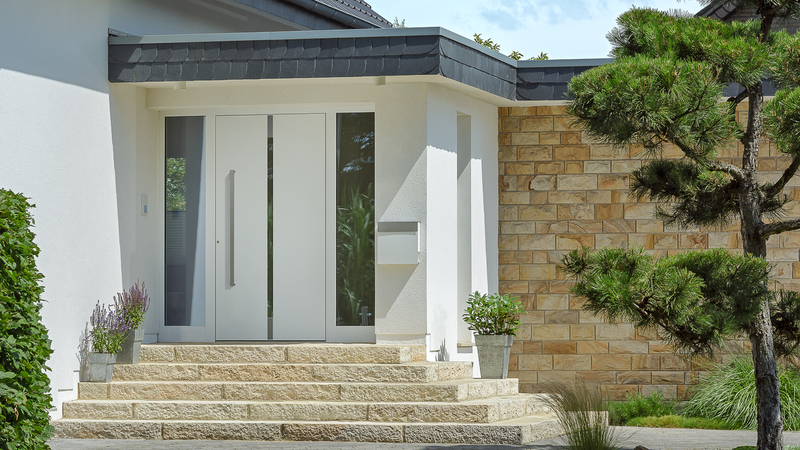 A four-level composition according tot he latest technological findings guarantees optimal protection and consequently the durability of your front door. Heavy three-part installation hinges ensure that your door is fitted perfectly and provide protection against attempts at forced entry. The silver optics, moreover, impart exclusivity. The 5-fold bolting device makes life difficult for unwanted visitors. 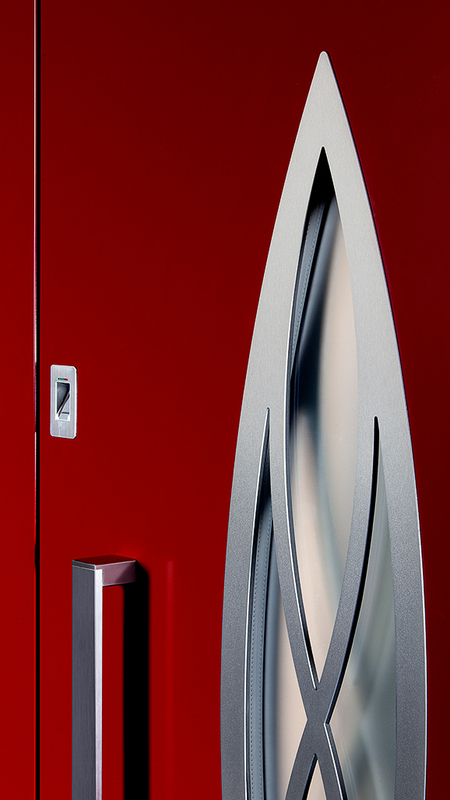 One main bolt, two massif bolts and two swivel bolt locks make forced entry almost impossible. 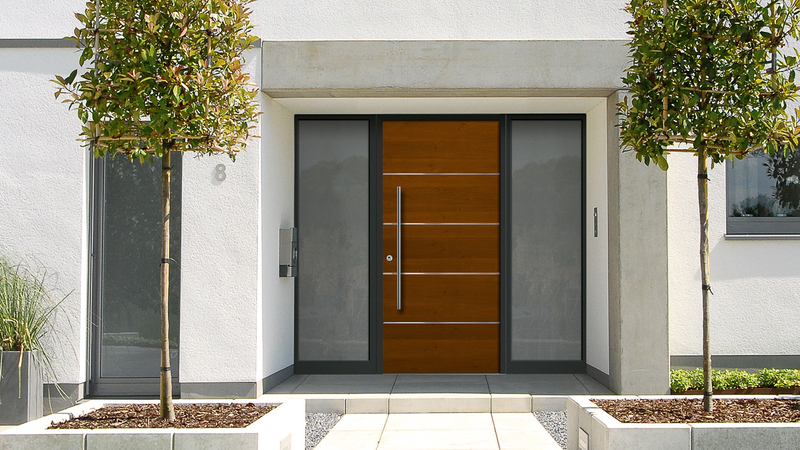 All aluminum-wood entry doors as well as the modern wood entry door systems are available with fully concealed hinges. You will have unimpaired and perfect interior aesthetics. Alongside a classy design, the technical characteristics of a front door are of great importance because quality will pay off in the long run. It does not compromise the appearance of your front door, but offers additional safety and security. Your front door can only be opened to a small gap, facilitating "secure" contact with the visitor. It is impossible for the door to be pushed open from outside. Finger scan offers easy and secure access. At Harman Fensterbau, we combine advanced finger scanning technology with your front door elegantly and designed to perfection. 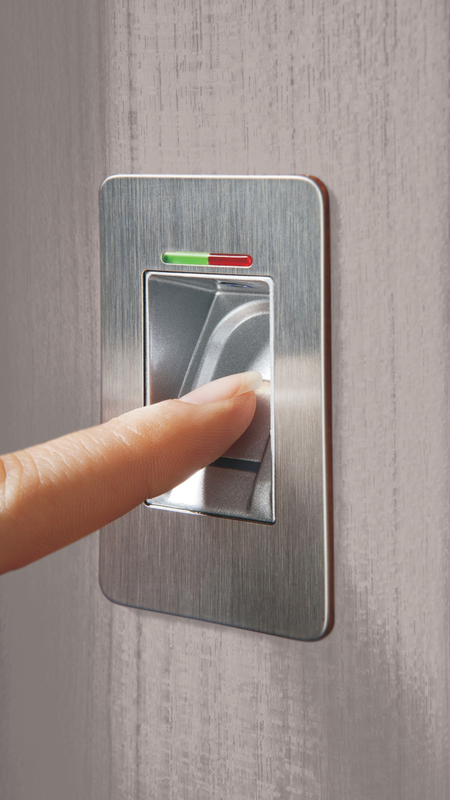 The integrated finger scanner facilitates easy access without keys, codes or cards.